Students will be able to identify and label the parts of a tree. Read the title and invite your students to describe the cover. Tell your students to pay close attention to the different parts of a tree mentioned in the story. Read the story while pausing to note the leaves, branches, and fruit in the story. Allow time for your students to make personal connections to the story. 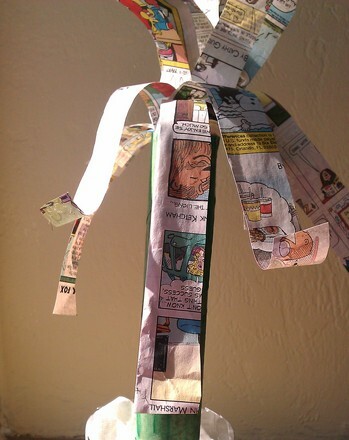 After reading the story, help your students summarize why a tree is nice. Invite your students to expand on other ways trees are good. Go back to the pages describing the leaves. Ask your students to share what they know about leaves. Repeat this process with the pages that describe branches, the trunk, and fruit on a tree. Load the Tree SongVideo on the interactive whiteboard. Watch the song one or two times while encouraging your students to sing along. Ask your students if the song mentioned anything new about trees. Ask your students to share what they know about roots. 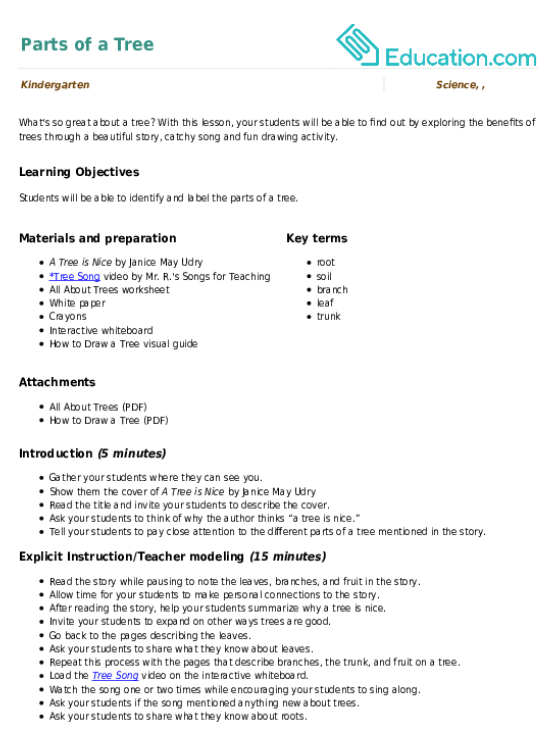 Hand out the All About Trees worksheet provided with this plan. 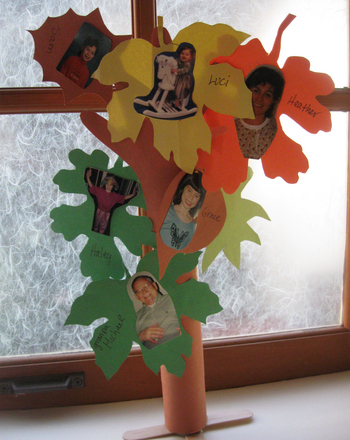 Tell your students that they will be labeling the tree with the words found in the word bank at the top of the page. Go through the word bank with your students to make sure they understand the words. Tell your students to each put a finger on the words as you call them out in order. Tell your students to each put a finger on the words as you call them out in a different order. 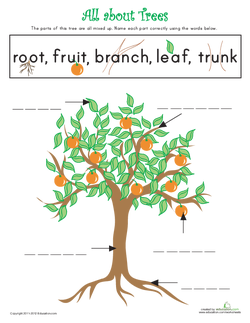 Tell your students to use two fingers to point at the word and part of tree that you are describing. Proceed with the following descriptions: *They are green but change colors in the fall. They go under the soil. Some trees have these things that you can eat. This part grows up out of the ground and holds up the whole tree. These things grow out of the trunk in different directions. Dismiss your students to work at their tables. Encourage your them to help one another. Observe and guide them students as they work. Hand out sheets of white paper. Tell your students to use crayons to draw their own trees. Instruct your students to use the All About Trees worksheet as a guide to help them create and include all of the tree parts. On the board, model how to draw a simple tree. As your students finish their drawings, ask them to name and describe the parts of the trees that they drew. Enrichment:Have advanced students label their tree drawings. 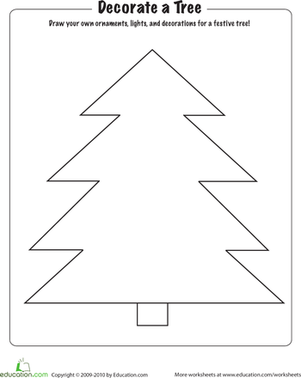 Support:Struggling students may need help getting started on their tree drawings. 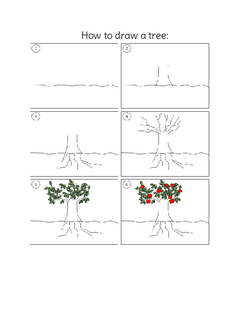 Assist them using the How to Draw a Tree visual guide. During Guided practise, look for students who are pointing at the correct picture on the worksheet. During Independent practise, check to see whether your students are able to draw, name and describe the different parts of a tree. Invite your students to share and compare their tree drawings. Ask your students to name some ways in which a tree is nice. 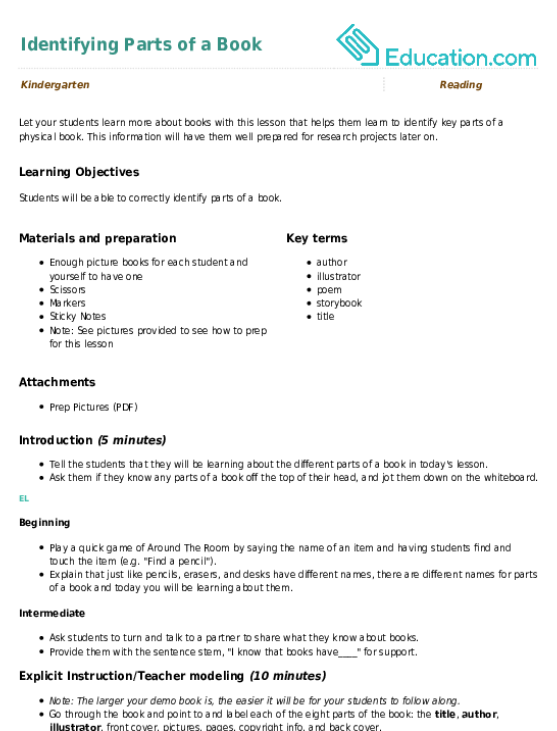 Play the Tree SongVideo one more time and encourage your students to sing along.